Waves of rainfall across the lower Ohio Valley can be expected through the end of this week. Additional rounds of rain are possible Saturday and then again early next week. 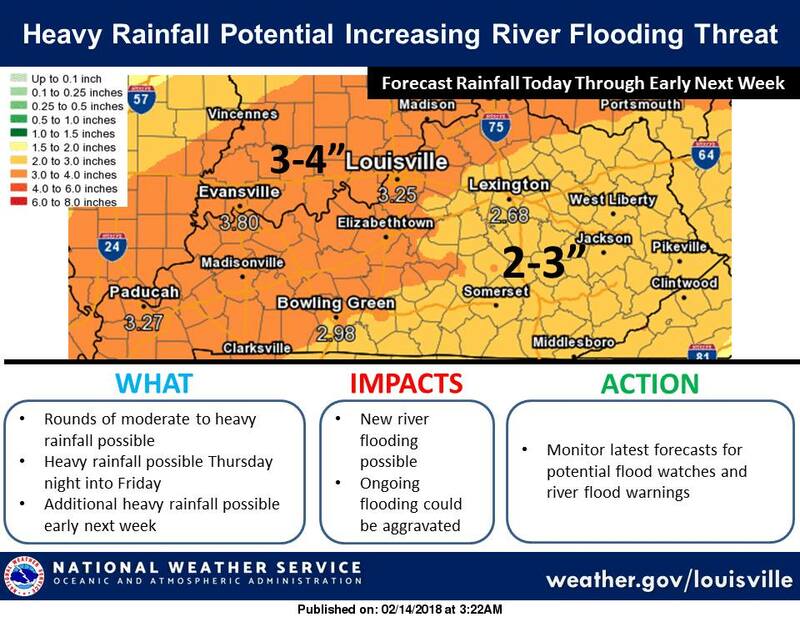 Widespread amounts of 2 to 4 inches locally are forecast over the next 7 days, and this could aggravate ongoing flooding problems and also result in new river flooding. Monitor the latest forecasts for increases in where the heaviest rain will fall over the next several days. 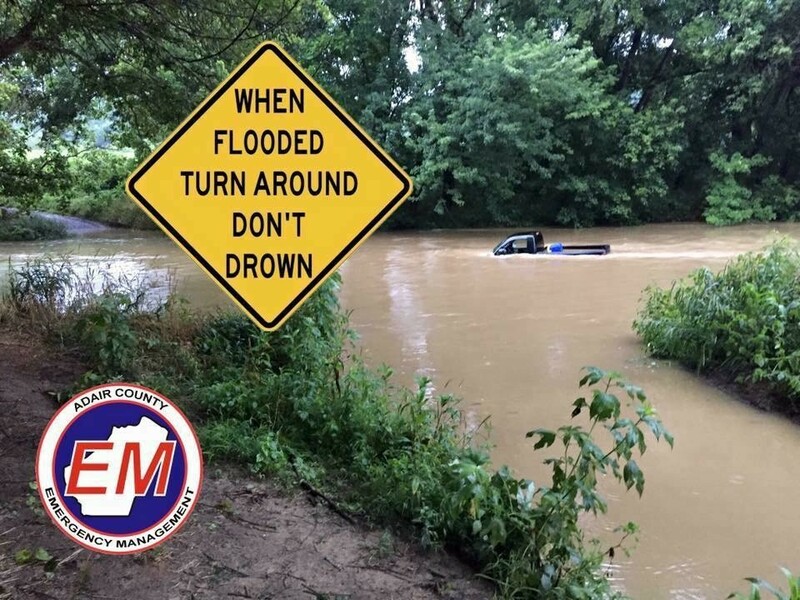 If you know that your roadway or private drive has flooding issues please use this advance notice to prepare.